Get some Chromatic Accordion Lessons! This purchase includes 4 Private one-on-one Skype Lessons for the Chromatic Accordion (C-System) with a qualified experienced teacher! Read the product description below for more information. Boost your learning with private, one-on-one lessons with an Accordion Life teacher! 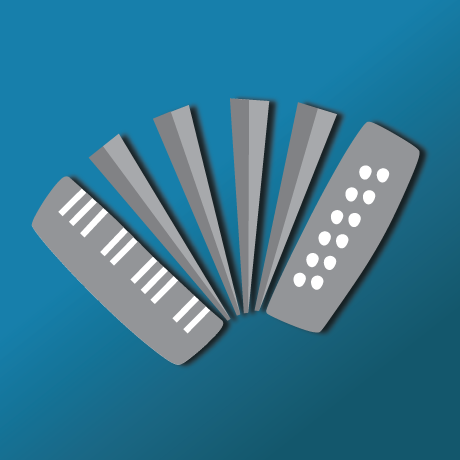 Enjoy 1 month of weekly lessons and see how much you learn on the Chromatic Accordion! • 1 month of private lessons = 1 lesson a week for 4 consecutive weeks. • Personalized feedback and teaching tailored to your musical needs. • 4 weeks of Premium Membership to Accordion Life included at no extra charge. • The opportunity to ask questions and learn. • Lessons are taught via Skype anywhere in the world. • Accordion Life is designed for the learning and playing success of all students, regardless of age, abilities, and musical background. Once you have purchased these lessons, we will contact you to get you scheduled with one of our accordion teachers. I’m taking chromatic lessons via skype. They are a quick 30 minutes, so there is no time for small talk, and that’s just as well. Having recently switched from piano to chromatic accordion, my right hand needs comprehensive training. Practice makes permanent, they say. Yev Nosov, my teacher is right on target making sure that I practice correctly, despite my occasional wayward tendencies. Skype is a great tool that brings me face to face with an excellent teacher with a winning track record. I have recommended skype lessons to others and will continue to do so. It solves the problem there not being enough good teachers nearby. Now, there’s one less excuse to avoid learning the accordion. Lance St.Helens, OR. Finding a chromatic button accordion (CBA) instructor here in the United States is nearly impossible. For several years I wandered the internet looking for help in groups and sites on YouTube offered by people with good intentions. I would often wake up at 3am when bits and pieces of information would gel in my subconscious and I would learn something new, such as the Stradella side is arranged in the circle of fifths. I knew that a qualified instructor was what I needed so as to practice in a purposeful manner and to learn my weaknesses immediately before they became bad habits. It should go without saying that immediate feedback from a credentialed professional has gone a long way in unlocking the mysteries of music and especially the CBS. I am in my late seventies with no musical experience and a background in accounting; not a winning combination. What is important is the journey and the joy of being able to play music. That is why I strongly recommend CBS Skype lessons from Accordion Life. When my dad first told me he’d found chromatic button accordion lessons I could take through skype, I’ll be honest I was skeptical about how an online music teaching would go. From my first lesson, however, my teachers have made it feel perfectly natural. I’ve now taken lessons with Accordion Life for four years and have learned so much about playing music with expression and storytelling. 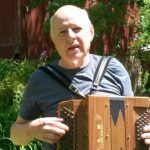 Accordion Life also gave me the opportunity of competing in the Leavenworth International Accordion Celebration.